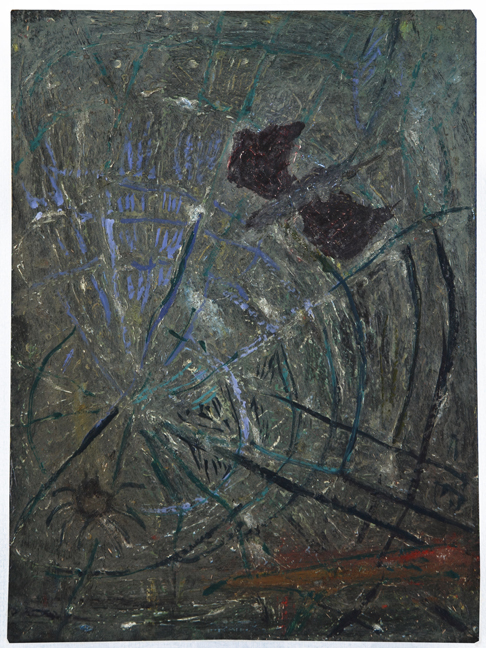 SEASON is very proud to exhibit again at VOLTA NY Art Fair with a solo booth presentation of paintings by Peter Scherrer. The fair will be March 5-8 at Pier 90, New York City. Pier 90 is located at west 50th and twelfth avenue. 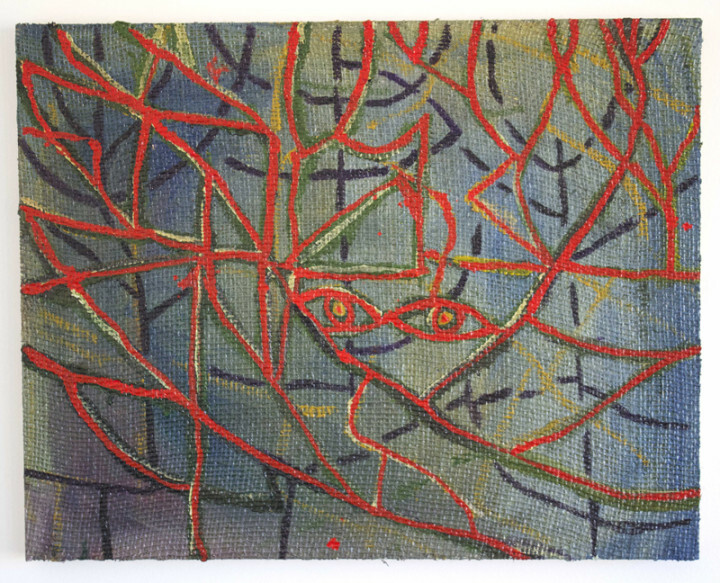 Born and raised and in Washington, Peter brings a delicate, native understanding to his paintings to create imagined landscapes of impossible lushness that radiate with chaos, hostility, and humor. Working in both watercolor on paper and oil on canvas, his pieces manage to expand and further complicate our views on nature— by loosely considering Romanticism, our history of exploration and settlement, hippie idealism, and his own personal experiences growing up in the region, Peter confronts our flawed relationship with the nature world. 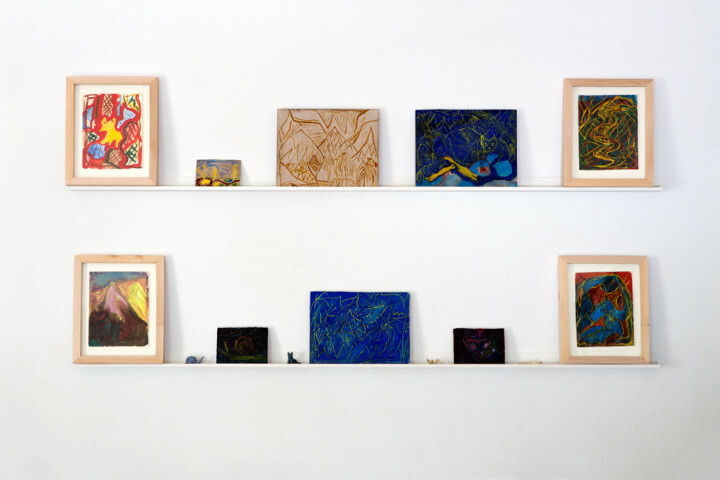 By combining equal measures of terror and kooky humor, Peter’s work demands that we reconsider our often messy, sometimes well-intentioned attempts to make the natural world known. 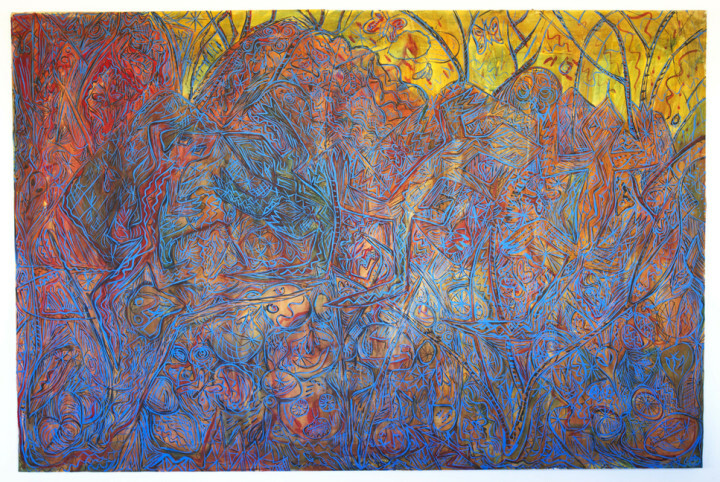 Peter Scherrer, Four Lizards, 2014, watercolor on paper on panel, 48 x 72 inches. 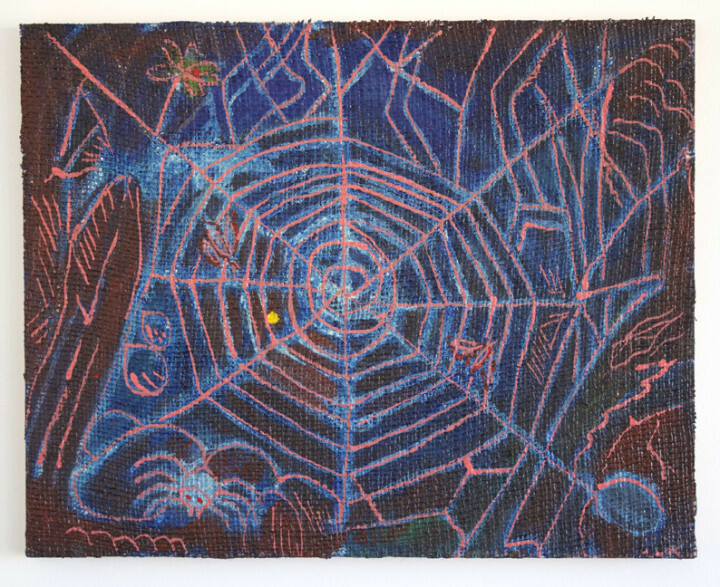 Peter Scherrer, Moth and Spider, 2013, oil on canvas over panel, 10 x 7.5 inches. 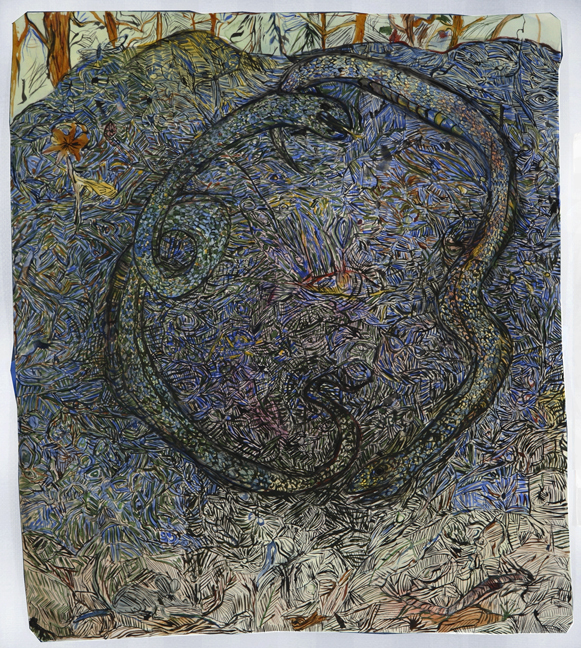 Peter Scherrer, Snake Rock, 2013, watercolor on paper, 22.5 x 20 inches.